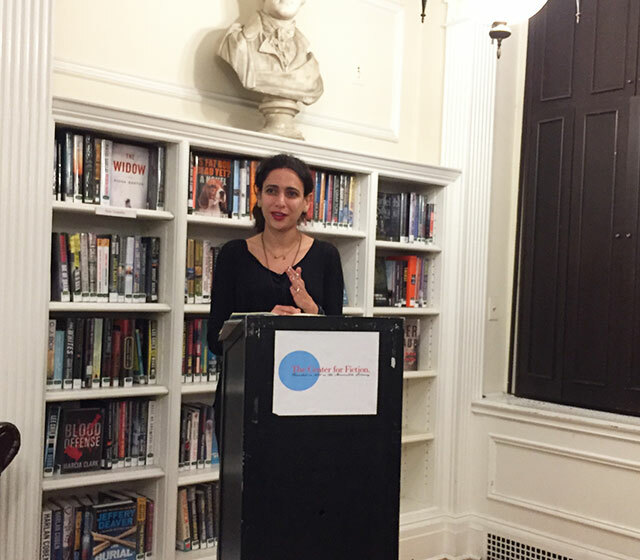 Hala Alyan was at the Center for Fiction last week to discuss her debut novel, Salt Houses, about a displaced Palestinian family through multiple generations. 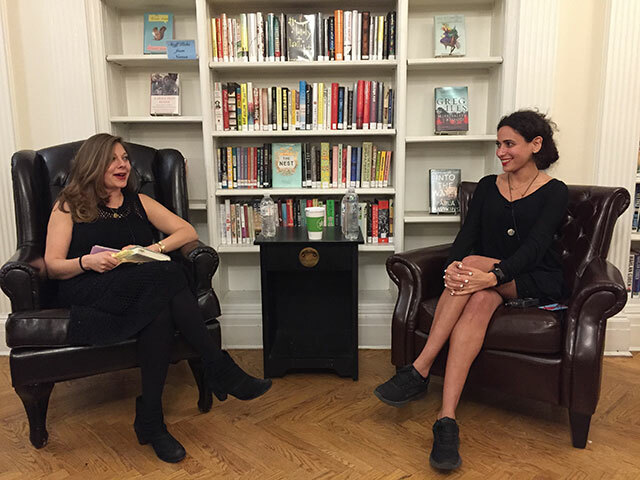 She was joined by her editor, Lauren Wein. In diaspora, memory is a dangerous thing, Alyan declares, and nostalgia for a place is particularly dangerous. Sometimes people even are nostalgic for things and experiences they have never seen or touched. “Remembering is an act of protest,” she says. Alyan has always felt like an outsider. Her parents met and married in Kuwait, but they were Palestinian and Syrian. Alyan was born in the United States–her uncle was a researcher at a university in Illinois at the time, and her pregnant mother gave birth to her while visiting. The maneuver proved particularly prescient when Iraq invaded Kuwait, and Alyan’s citizenship helped expedite their departure. Since then, she has lived in the midwest, Maine, and New York City–and in all these places, Alyan has felt like an outsider. Even with her family, she is seen as the American cousin, yet in the United States, she is not seen as American enough. Eventually Alyan settled in New York City where she is a licensed clinical psychologist. She says now she is finally growing more comfortable with internalizing her outsider status. Alyan has always written voraciously, excepting a brief period in her early twenties. She says poetry comes more easily to her. “I will never write anything if I’m waiting to be inspired,” she says. While she was finishing her dissertation at Rutgers University, writing fiction became a motivator for her. She was burned out from her research, but she would allow herself thirty minutes of fiction writing if she finished her academic work for the day. “Different people do it differently,” she says of her method. She writes just enough every day, and then tries to leave herself with a cliffhanger to get going again. “I was a kid who loved the Weather Channel and professional wrestling,” she says. It was helpful in the process to believe, for a long time, that nobody would read her book. She convinced herself that the first person to read the manuscript would be the last. Then when other friends read it, believed the book wouldn’t be read beyond them. Even after an editor read it, she still didn’t believe it would be published. A conversation about literature cannot be a replacement for a conversation on politics, Alyan says, and while it is about a family, it is not about all families. She also says she wanted to pay tribute to the stories around her while she was growing up. “Everyone reacts to trauma differently,” she says, reflecting on her own parents. Her father, for instance, always needs to move around every year or two. He doesn’t want to make new connections. By contrast, her mother is constantly nesting and trying to reclaim attachments.